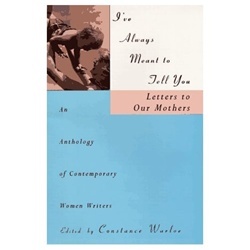 In this collection of original letters, more than 75 daughters, including Joyce Carol Oates, Barbara Kingsolver, Ntozake Shange, and Hilma Wolitzer, speak to their mothers, both living and deceased, with messages that come straight from the heart. These are novelists, poets, essayists, humorists, cartoonists and journalists of different ages and cultures. Together they share thoughtful, provocative, funny, and sometimes painful revelations — memories, confessions, poems, fables and tales — at once personal and universal. Illustrations. Entry filed under: Book Specials. 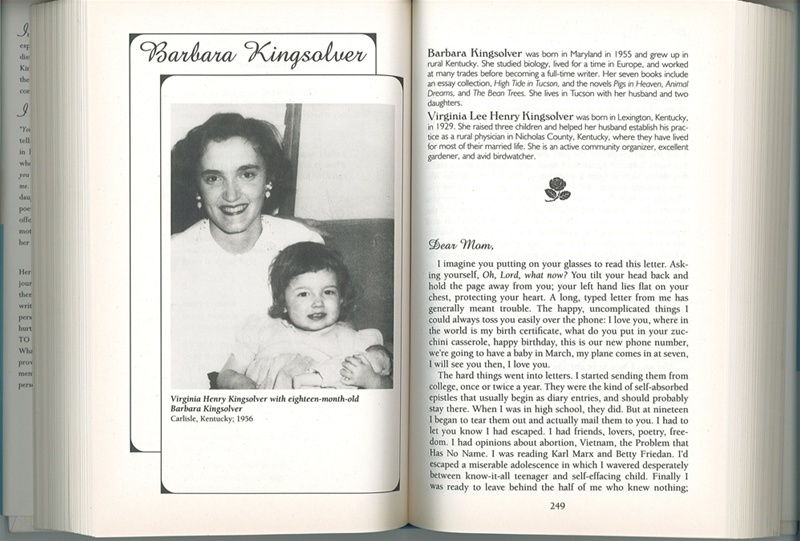 Tags: anthology, Barbara Kingsolver, book, cartoonists, coming of age, confessions, Constance Warloe, daughters, essayists, fables, gift, grandmothers, growing up, Hilma Wolitzer, humorists, journalists, Joyce Carol Oates, letters, literature, memories, mother's day, mothers, novelists, Ntozake Shange, poems, poets, stories, tales, women, women's studies, writers.